Flowers are blooming, birds are chirping, and allergies are in full swing. Spring is here. For many of you, harsh winter weather may have kept you from updating your practice’s appearance, processes, and web presence. With spring upon us, now’s the time to air out your practice and update it to attract more patients. Below are a few tips for cleaning up your optometric practice this spring. Depending on where you live, the chance of snow is starting to dwindle, making it the right time to add a pop of color to your storefront using colorful plants, giving your practice a fresh paint job, or even updating your sign to attract new patients to your practice. There are many processes in the eyecare industry. From managing the different stages of a claim lifecycle to how your practice moves your patient from check-in all the way through check-out. 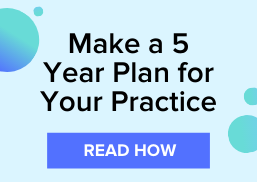 When was the last time you took a look at your optometric practice’s processes and identified ways you can improve them to make more money, see more patients, and get back to what’s important to you? Inspect revenue from claims reimbursements to identify if your practice has outgrown your claim management process. Another way you can improve your internal processes is to examine your office workflow to identify inefficiencies that are keeping patients from moving through your practice with ease and efficiency. 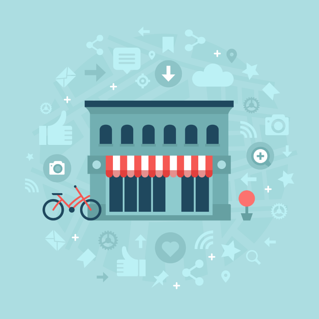 Your web presence is a significant contributor to how your practice brings in new patients. If your website isn’t optimized with modern web strategies, or your practice has an overwhelming number of unresolved negative reviews, it’s time to turn that around. For more tips on how you can attract new patients to your practice, subscribe to the VisionWeb Blog.